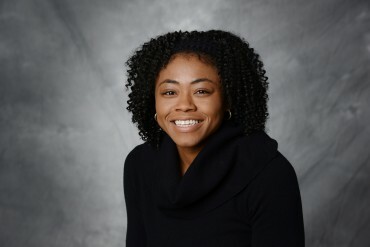 Stephanie Douglas, former Professional Basketball player and Detroit PAL Alum, embarks on her first year as an Associate Athletic Director after playing basketball in Spain (2016), Germany (2014), and touring with the World’s Famous Harlem Globetrotters as a Female Dribbler in (2015). She is the League Commissioner for Detroit PAL’s girls and boys recreational basketball league. In addition, she is responsible for all girls and boys recreational basketball programming, including camps and clinics. Prior, Douglas was the Assistant Coach for the Adrian College women’s basketball program and has worked as an Admissions/Academic Advisor at Corinthians College from March 2013 to January 2014. She was also an Enrichment Teacher for Building Educated Leaders for Life (BELL) for two years and served as Director of Basketball Operations at the University of Detroit-Mercy from August 2011 to April 2012, where she planned and executed the development of the Kids Club and assisted with in-game marketing. Douglas was a member of the Ball State University women’s basketball team from 2005 to 2007 and also spent time at the University of Michigan, Temple University and Meridian Community College. She has volunteered at the University of Michigan and Temple University basketball camps and also volunteered for the Dawn Staley Foundation. Douglas earned her Bachelor’s Degree in Sociology and Psychology from Ball State University in 2007 and earned a Master’s Degree in Educational Leadership with an emphasis in Sports Administration from the University of Detroit-Mercy in 2014. Douglas is committed to helping young people realize their full potential by involving them in physical activities that will draw them away from self destruction. Through her basketball programs, she hopes to enhance the basketball skills of Detroit youth by teaching them important physical and mental values that will help them live more fulfilling athletic and personal lives.